The Budget 2012 announced that measures would be introduced in the FA 2013 to dispense with the 5% entrepreneurs’ relief (ER) voting shareholding requirement for shares acquired under an EMI option after 5 April 2012 (where they were sold after 5 April 2013). Under the original proposals, the employee option holders would only benefit from the 10% ER CGT rate where they have held their ‘EMI’ shares for at least twelve months before they are sold. However, since the vast majority of EMI share options are only exercised immediately before a sale of the company, these proposals did not really ‘hit the spot’ since, in practice, employees would only hold their EMI shares for a very short period and could not therefore meet the ‘one year’ ownership requirement. The Government have listened to the various representations made over the summer and have revised the proposals. Under the revamped legislation the qualifying period for the EMI shares will now start from the date the option is granted. This will enable employee option holders to obtain the beneficial ER 10% CGT rate on a sale of their EMI shares (irrespective of the percentage held) provided their options were granted at least 12 months before the shares are sold. The Finance Bill 2013 achieves this relaxation by inserting an additional set of qualifying ER conditions for EMI shares. These enable ER to be claimed on EMI shares where the option grant date falls before the ‘beginning of the period of one year ending with the date of the disposal’ provided the other ER ‘trading’ and ‘employment/officer’ tests are met throughout this period. We decided to send out an e-christmas card featuring a cartoon involving Father Christmas and HMRC involved in an IR-35 dispute over Rudolph. Many thanks to our artist, Ellie Thomason, who we commissioned for this work and who did a fantastic job for us. 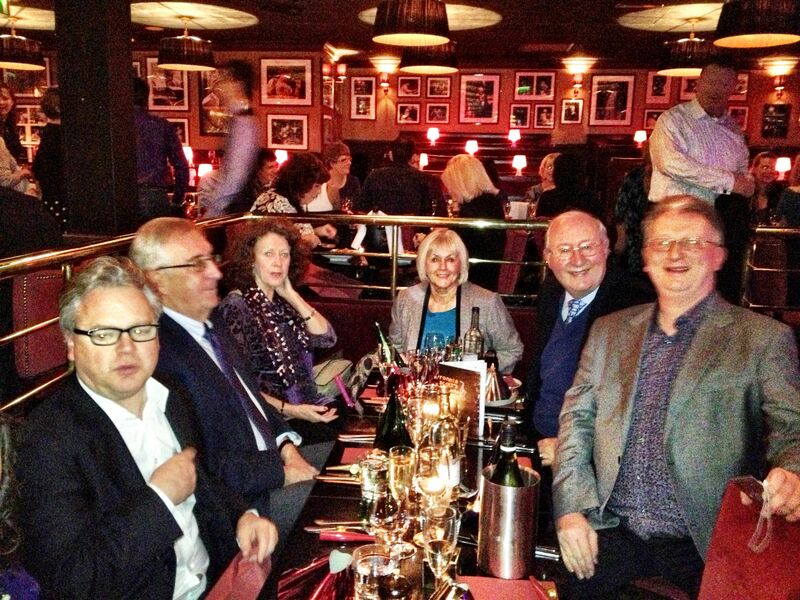 All our guests had a great time at the Ronnie Scotts Christmas cabaret lunch. Amidst a wonderful intimate setting, we were treated to a tasty christmas lunch accompanied by delightful festive cabaret from the Ronnie Scotts All Stars band, led by the talented pianist James Pearson. Peter Rayney Tax Consulting even got a musical namecheck! The fun went on well into the late afternoon with hilarous moments in the ‘Challenge the band’ and the Ronnie Scotts Annual International Kazoo competition. ‘Challenge the band’ involves the audience requesting the band to perform christmas songs but in a selected musical style – this included innovative renditions of White Christmas played Rap-style, Away in a Manger in Reggae, and Rudolph The Red Nose Reindeer in the style of Bollywood. 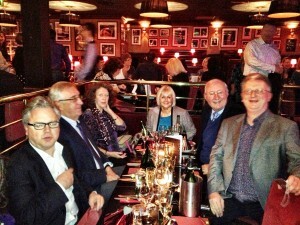 Great entertainment and showed how talented the Ronnie Scotts musicians were. The Kazoo competition was also a hit with 10 member of the audience (including two from our table!) being brave enough to display their ‘Kazooing’ skills on stage. Some of the PRTC party...Maurice Dawes and me! This was a great way to begin Christmas and we will certainly be back next year.